Doctors have stethoscopes and surgeons their scalpels, but tools for troubleshooting problems with desktop and laptop computers are a bit less well known. That’s why I’ve kept a running list over the years of some helpful tools you can use for finding out what’s wrong with ailing PCs. 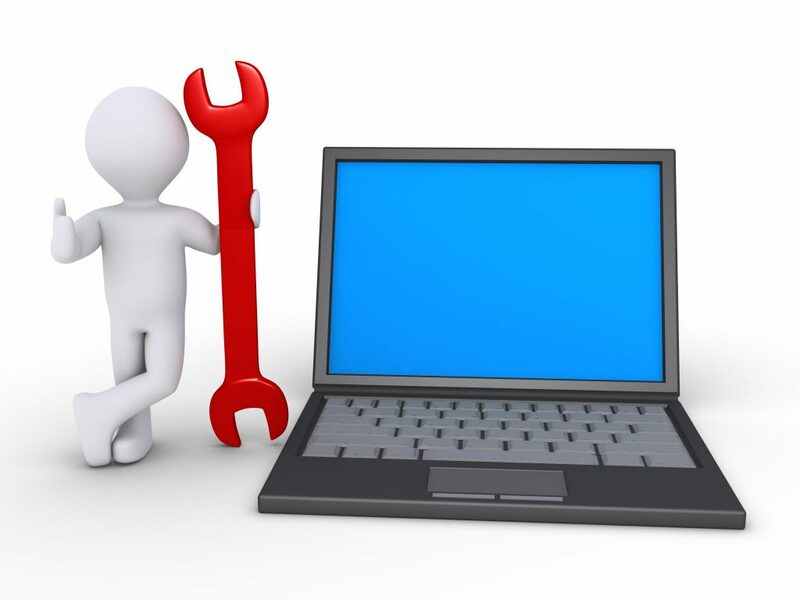 In this article, I’ll describe some of the tools I’ve used, including both generic and vendor-supplied diagnostic tools and utilities. Let’s start off with a couple of third-party diagnostic tools that can often help you track down your PC sadness regardless of whether your PCs are from a major vendor or are white-box systems you built yourself or had someone else assemble for you. PC-Doctor for Windows is able to perform over 200 diagnostic tests cover all major PC subsystems including CPU, memory, system board, storage, audio, graphics, networking, and peripherals I/O. And if you’re an OEM or system builder or even an end user who builds PCs, there is also PC-Doctor Toolbox for Windows, which is available for single user or volume licensing. 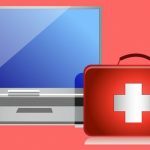 One caveat to be aware of concerning PC-Doctor Toolbox for Windows is that it can’t be installed on Dell- or Alienware-branded computers, but there is a free Dell SupportAssist that’s based on PC-Doctor technology that I’ll describe later in this article. AIDA64 from FinalWire is a system information, diagnostics and benchmarking solution for Windows PCs that comes in a variety of editions including AIDA64 Extreme for consumers and PC enthusiasts, AIDA64 Engineer for IT technicians, and AIDA64 Business, which makes a detailed hardware and software inventory of the company PC fleet and supports PC fleet management with remote functions. In addition, there is also a dedicated network audit solution for businesses called AIDA64 Network Audit and the new AIDA64 for Mobile devices for power users who want to know everything about the innards of their mobile gadgets. If your company’s PCs were purchased from Dell, HP, or Lenovo, there are utilities that are already available from these vendors that may be able to help you troubleshoot problems when they occur with your PCs. Some of these tools may already be installed by default on systems you purchased from your vendor while others can be accessed from the vendor’s website and can either be downloaded and installed or run directly from the cloud. We’ll focus here on diagnostic tools available on the website of these vendors, beginning with Lenovo. Lenovo Diagnostic Solutions, which can be launched from this page on the Lenovo website, provides a suite of quick and extended tests that include memory, storage (SSD, SATA and SAS), optical, wireless, motherboard, CPU, video, and RAID. The diagnostics are available as a bootable or a downloadable package that can be run under Windows or Linux operating systems. Or if you like you can go directly to the Tools page which gives you access to the Lenovo Solution Center, a set of Professional Diagnostic Tools for Windows, and bootable USB, CD, and DVD solutions for performing diagnostic tests on Lenovo systems. Dell SupportAssist, which was previously known as MyDell or the Dell Support Center, is a set of tools you can use to check the health of your Dell PCs and tablets to help you identify and resolve problems with them. You can download Dell SupportAssist for PCs and tablets from this page if it’s not already preinstalled on your Dell system. And on the infrastructure side of things there is also a big brother version of Dell’s product called SupportAssist for Enterprise Systems, which helps keep your Dell servers, storage devices, and networking devices humming along by automatically identifying hardware faults, creating a case, and initiating contact from Dell EMC to help you resolve your problem. HP PC Hardware Diagnostics is a Windows-based utility that provides a set of diagnostics tests that help identify potential hardware issues by running various diagnostic tests. This utility comes preinstalled on most HP PCs but you can also download it from here if you’ve done wipe and load clean installs on your PCs. What I especially like about this tool (and I’ve used it this way several times recently) is that it can operate either independent of or within your operating system. So if Hardware Diagnostics is installed on your PC or laptop and Windows locks up or you’re unable to boot the machine, simply power on your PC and press ESC and press F2 at the prompt, then choose System Tests (or Fast Test, which performs a four-minute hardware check of your PC) to quickly determine whether a hardware issue is causing the problem your PC is experiencing. HP also offers Remote Diagnostics for select business products, which lets you download and run HP UEFI Diagnostics remotely and upload the diagnostics log through F10 Setup. And if you need to support a mixed environment of older and newer HP/Compaq PCs in your company’s environment then you need the HP PC Hardware Diagnostics 4-In-1 USB Key, which includes HP PC Hardware Diagnostics Windows, HP PC Hardware Diagnostics UEFI, HP Vision Diagnostics, and files supporting recovery of a corrupted BIOS on supported systems. Finally, there are some testing devices on the market that can come in real handy for troubleshooting almost any type of PC system you’re having problems with. One of my favorites which helps you determine the health of your PCs power supply (the behavior of which is often the root cause of many weird PC problems) is this PC Power Supply Tester from Optimal Shop, which I picked up last year and have had two occasions to use recently. And if any of you are using a different device for testing your PC power supplies and you’d like to recommend it to others who visit this site, feel free to do so using the commenting feature below.